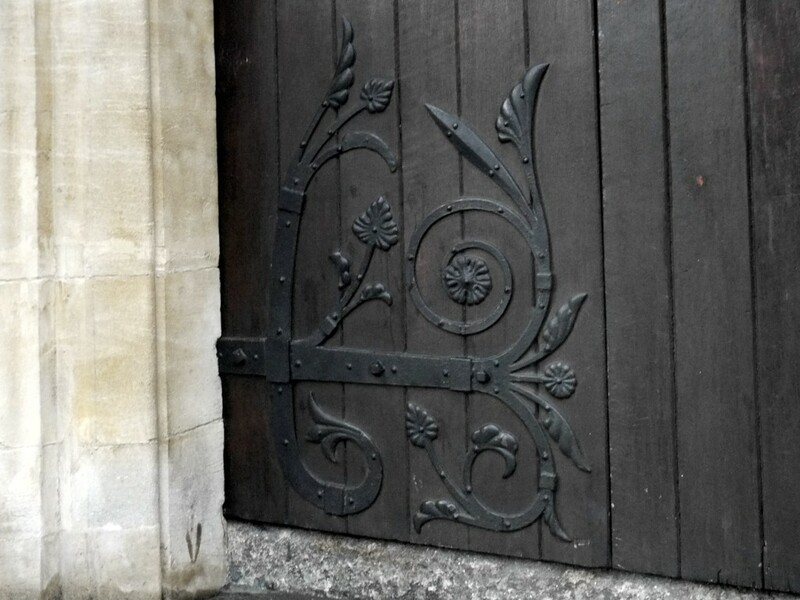 One of my favourite of the early posts here was a very, very simple one with a memorable bit of ironmongery. Memorable enough that most others felt like variations on a theme, or neat but plain examples that didn’t quite stand on their own. 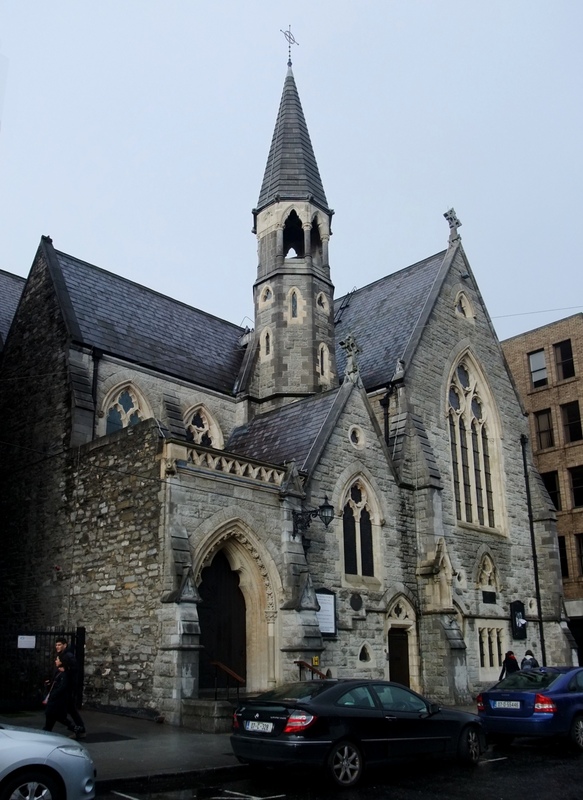 Dublin Unitarian Church was designed by W.H. Lynn of Lanyon, Lynn and Lanyon, who won the architectural competition for the commission. Construction began in 1861 and the church opened to the public in 1863, with later work on the building including the stained glass windows. 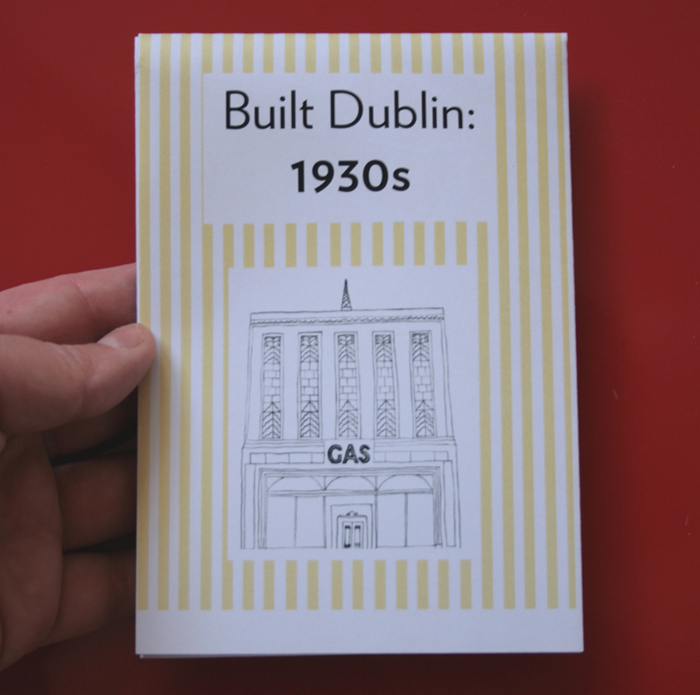 The building is Gothic in style, with a gorgeous asymmetry to the facade on Stephen’s Green, with the lower porch section wrapped by the L-shaped plan of the body of the church. The building is still in use by its (very welcoming) congregation, and has also served as a memorable backdrop for concerts. And on the door, there’s some amazing ironmongery, which I had never really noticed despite looking at the building hundreds or thousands of times in passing – that basic, exciting experience of unexpected revelation in the familiar that the city offers even when you’re deliberately looking out for it. There’s two pieces on the door, maybe corresponding to the upper and lower hinges. 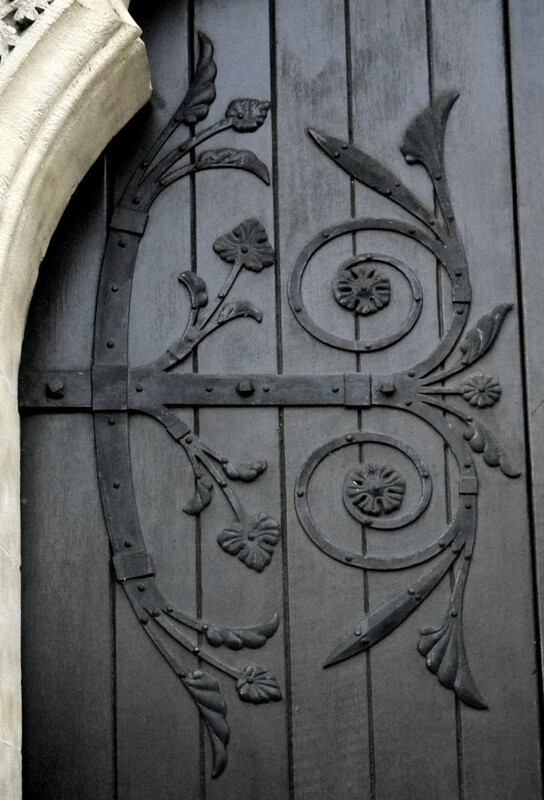 It’s a stylised sort of motif, with strapped bands ending in foliage and flowers, curving and spiralling. 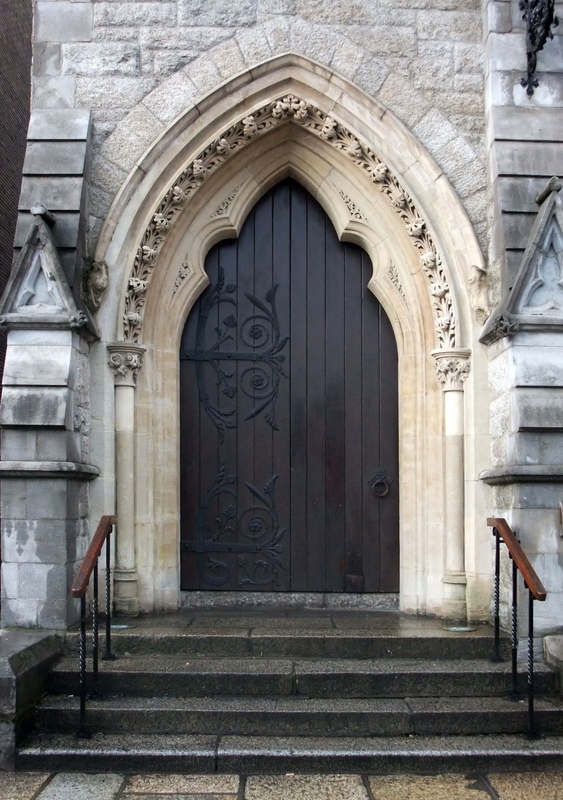 Strangely, though the door narrows towards the top of the arch, the upper piece is symmetrical along the horizontal axis. The lower, with the straight side of the door, has a flat bottom as if it’s curling in on itself before meeting the ground. A little idiosyncratic, as if they’re reacting to being oversized for the door, but still pretty great and exciting, and certainly memorable.